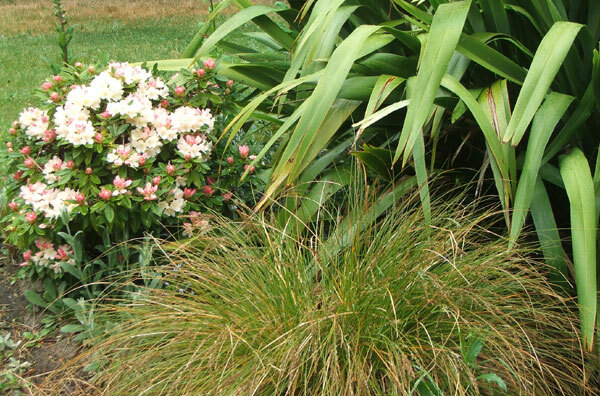 There are over a thousand different varieties of Carexes scattered throughout the world. I try to purchase native New Zealand Carexes for my garden, and I often find them in the bargain bin at the local nursery. Juvenile plants are cheap and fill out in one or two seasons. 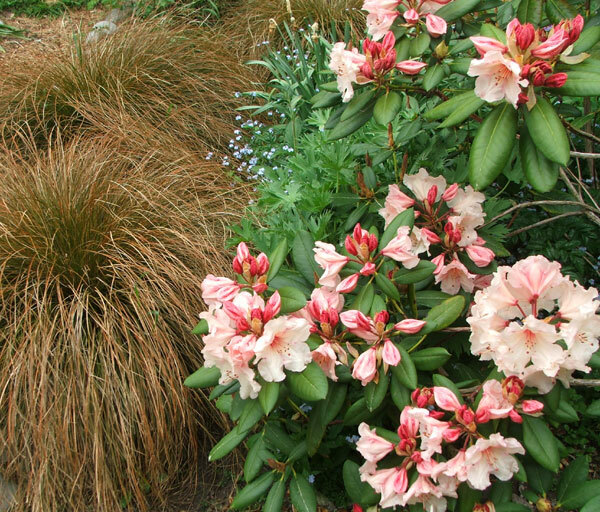 There are varieties for dry soil, and others suitable for wet spots. 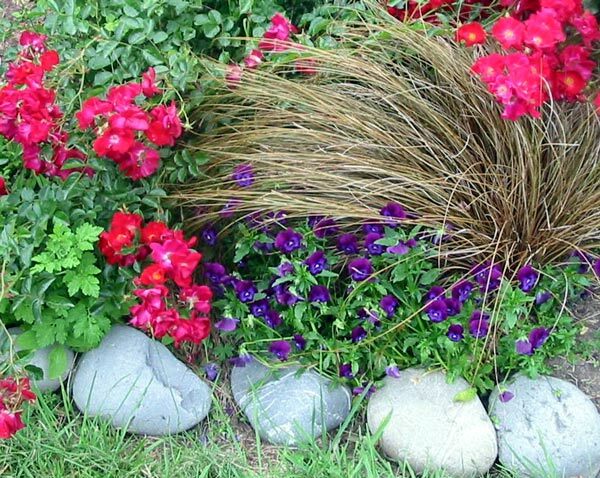 A perfect planting position for me is near the edge of a traditional perennial border. Often the tussock strands will drape themselves gently over their neighbours. They're easy to trim and keep reasonably tidy. And they give much interest when planted underneath flowering shrubs. Apart from the brown Carexes, some of which are the variety 'buchananii', I grow the variety called 'Frosted Curls' which has strange curly ends, and is a fresh pale green colour. Others glow a mixture of green and orange-red in the sun, and change colour drastically in autumn and winter. Another favourites is variegated, and stays smallish and compact (though I'm not sure if it's a native). Some of my Carexes (particularly any planted near a path) get haircuts with the dressmaking scissors every four weeks or so. The brown ones always produce enough seedlings to pot up and use in new plantings.